or explore – there’s something for everyone in this windy town. Tarifa is a fortified village in the south of Spain. It’s located within the province of Cadiz in Andalousia. At only 14km from the tip of Morocco, it’s also at the most southerly tip of continental Europe.Tarifa’s old town or casco antiguo is a monument in itself and a salute to the town’s Arabic past: Tarif Ibn Malik. Beautiful blustery Tarifa is primarily known as one of the world’s most popular destinations for wind sports. As frenetic as the wind that blows through it, everyone knows the Spanish love a fiesta. Summertime in Tarifa is one non-stop party. Here the concentration of hideaways, crazy hangouts and pumping hot spots allows the locals to mix happily with the tourists, surfers and travellers and everyone gets high on the atmosphere and tequila. Part of Tarifa’s nightlife charm is due to the eclectic mix of talented musicians it attracts. Flamenco, samba, jazz, chill-out, pop and African beats are fused by ethnic and international bands. 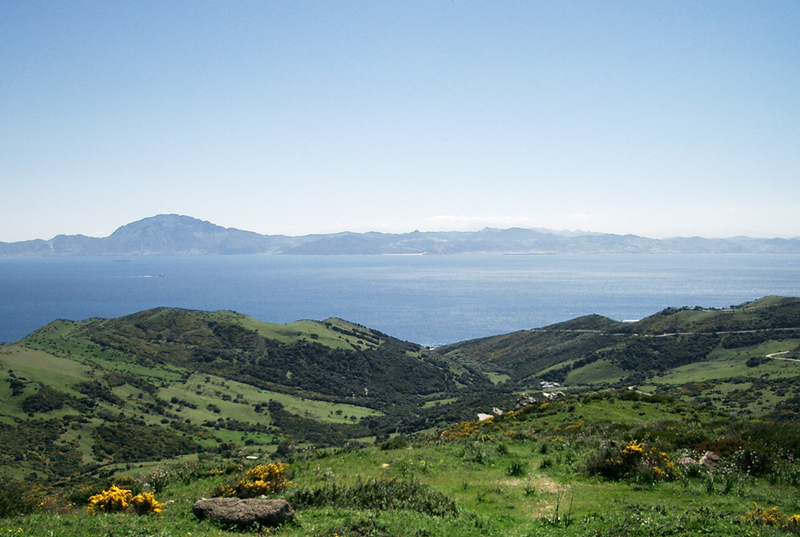 Tarifa is surrounded by four protected natural areas: Los Alcornocales Natural Park, El Estrecho Natural Park, Playa de Los Lances and Duna de Bolonia. From the sunny beaches of Tarifa an imposing curtain of mountains rises out of the Campo de Gibraltar. Expect to see cows chilling or flocks of storks flying. 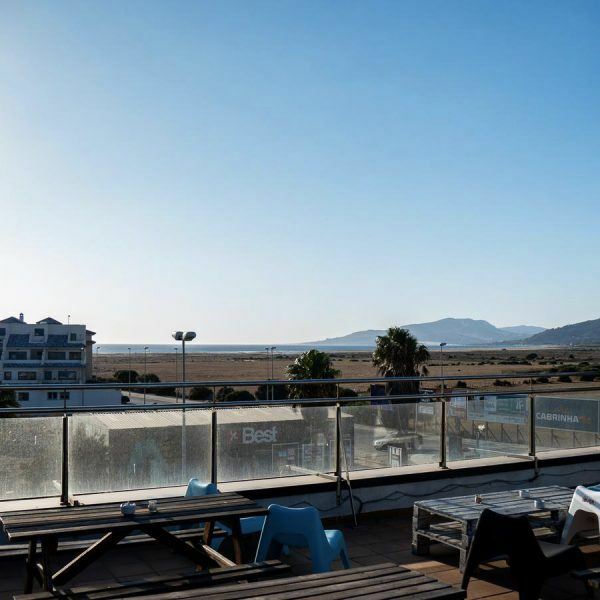 Lying on the beach or sitting at a chiringuito you can simply enjoy the view, a perfect mix of mountains, wildlife and sea. Tarifa has become a Mecca not just for lovers of wind- and kite-surfing, but also for tourists seeking a different summer and winter holiday experience with a distinct surfer’s culture and a trendy hippy ambience that some have described as ‘Tarifa chic’. Start your evening with a perfect sunset. For the best view, head to Agua Chiringuito, listening to funky retro tunes while watching the sky go red, the darkness fall and the moon rise. His temperature and sunshine regarding to the rest of Europe, as well as his proximity of big international airports place Tarifa in best condition where spend holidays. At just two hours from Malaga and Seville or 40min from Gibraltar, it’s easy to reach this kitesurfing hotspot by car or bus! If planning a trip, it’s best to seriously consider hiring a car. If you plan to camp, bring the surf gear or go off-road, a jeep or a campervan is probably your best option. There are lots of local hire companies to choose from and good value for money. If you are coming from Malaga, Jerez or Gibraltar airports and don’t want to hire a car at the airport, taking the bus is relatively easy and certainly the cheapest option. All buses lead to Algeciras, the closest city to Tarifa, about 25 km away. There are a number of transport options for getting around Tarifa once there, as only in summer time there is a bus services to reach the beaches. 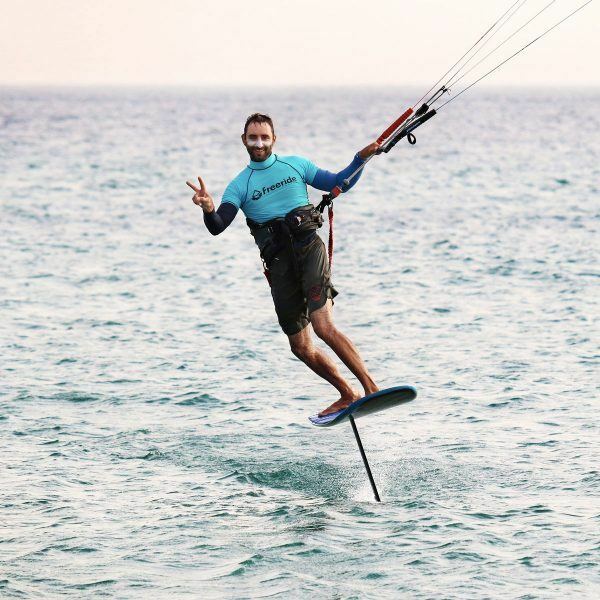 Besides hiring a car, it is also possible to hire a scooter or a bicycle which could be really helpful to reach the different kitespots such as Los Lances beach (5min by car from Tarifa) or Valdevaqueros beach (10 min by car from Tarifa). Beware, however to the true Andalusian style and in strong wind with Levante. Tarifa is situated between the Mediterranean Sea and the Atlantic Ocean. Its unique location means it enjoys a beautiful blend of Spanish and Arabic cultures. It’s one of the most scenic villages in Andalusia and is well regarded as a kitesurfer’s paradise. With endless stretches of white sandy beaches and over 300 windy days a year, Tarifa is a hub for all sorts of watersports. A boat leaves from Tarifa daily, where visitors can take a half-day trip to see dolphins, orca and whales in the Strait of Gibraltar. Boats can also take you all the way to the tip of Africa. Over in Andalouisa, visitors can see the typical white villages of the area located on the hills. You can visit the ruins of the Roman city at Baelo Claudia as well as the popular cities of Cadiz and Sevilla. With its coastal setting, Tarifa is famous for its tuna, calamari as well as beef. Fresh tuna comes directly from the Strait of Gibraltar and beef is reared in the hills around the town. to do around Tarifa besides kitesurfing. Go quad biking around the coast, or try your hand at a sand yacht. It’ll feed your need for speed and give you experience you won’t forget. The rock climbing area of Betis is located just 10 minutes from Tarifa. It’s protected from the winds and provides a great view of the Strait. Get romantic and go for a ride along the beach at sunset. Or ride up to the mountains where you can get a great view of the Strait of Gibraltar. If you’re willing to face some epic hills, there are plenty of paths that will allow you to discover Tarifa in truly ‘off the beaten path’ way. In ever there are no winds (a rare occurrence), you could go fishing or scuba diving. The Strait of Gibraltar is an exceptional place for sea life. 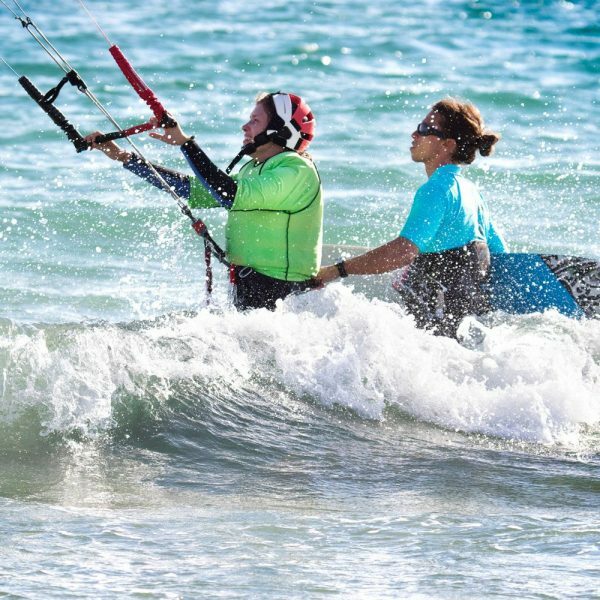 Of course, the most popular activity in Tarifa is kitesurfing. With the town’s excellent wind conditions, it makes perfect sense. Tarifa is a great place to learn kitesurfing. It enjoys consistent winds all year round and has plenty of other land-based activities to keep you entertained. Check out our packages that we have created to keep you fit an active while including sports activities and an accommodation. Start booking your adventure now. What are you waiting for? Get in touch today.